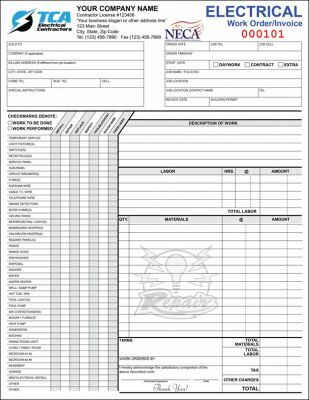 All type of electrical contractor forms: Service Call, Work Orders, Proposals, Warranty of Assurance, Invoice, Bid Proposals, Job Invoice, Service Invoice, Additional Contract Description, Warranty Certificate, Subcontract Agreement, Change Order and Change Order Request, Project Quotation, Electrical Panel Schedules, Warranty Certificate, Job Cost Report, and more. The electrical prime contract typically represents the agreed-upon contract between an owner who is financing the construction project and the general contractor who is being paid to manage the construction project. The 2 page contract has spacing to record owner and project contacts, construction lender (if any), space to describe work to be done, and other legalese and financial contract details. Finalized by signature and date lines for parties involved, with terms and conditions on back page. 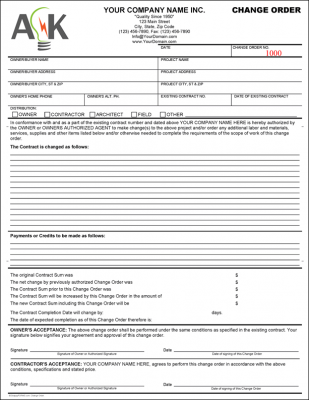 This Electrical form may take other names such as Additional Description, Addendum, etc. It is meant to be used with any contract where additional information or descriptive space is needed. 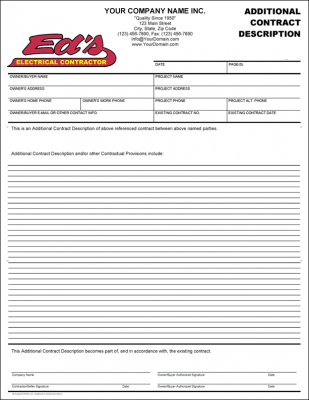 An Additional Contract Description is an additional document not included in the main part of the contract. It is an ad hoc item, usually compiled and executed after the main document, which contains additional terms, obligations or information. 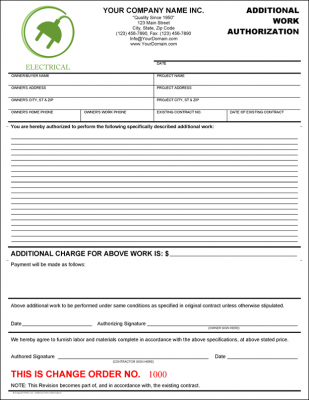 Our fillable and editable Electrical Work Order and Invoice form has space for a description of all work performed, labor and material charges, and a long list of typical electrical work needs and what was performed on them(installation, repair, replacement, inspection, troubleshoot, rough wire, finish wire, etc). 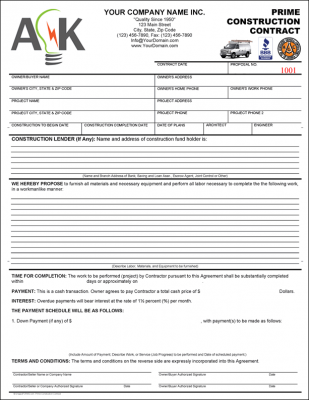 It can be used as a work order or an invoice with places for total charges of materials, labor, other charges, tax, etc. and customer signature line acknowledging satisfactory completion of work. 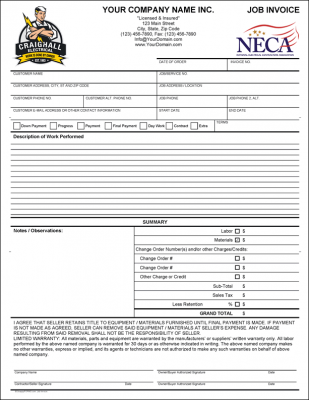 This form is one of the most popular forms among electricians and electrical contractors. 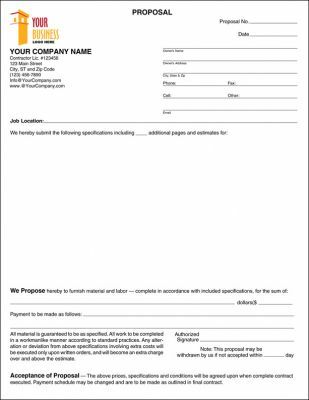 Additional work authorization forms are required to protect electrical contractors and their clients for additional costs associated to a project. Details of work to be done are not always fully apparent at the start of every project. Sometimes additional work is required after the start of the project due to changes made to the original plan or defects found and additional work or repairs required after the start of the project. 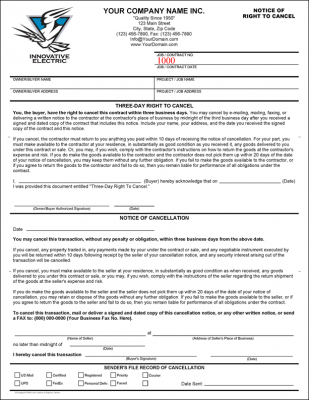 Additional work authorization forms are used by contractors of all sorts involved in home remodeling, improvement repair, service, installations or maintenance. This Electrical Contract Change Order is to provide written orders to make changes to the scope of work outlined in an original project contract. Change orders describe the new work that needs to be done (or omitted), the impact on budget, and the revised schedule for completion. Change orders are common in construction projects, especially larger ones - in fact, there may be many change orders issued in a single project. 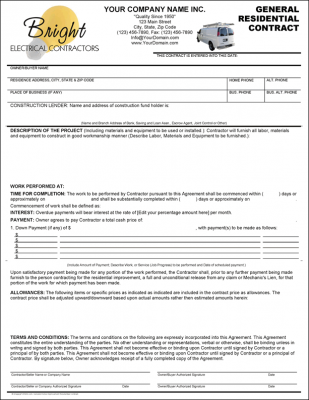 A general contract for electrical sales, repairs, installations, wiring, re-wiring and home improvement jobs. The 2 page contract spells out exactly the description of the project, location of work, time for completion, interest due on overdue payments, down payment (if any) and payment schedules, legalese and space for signature and date for mutual agreement. 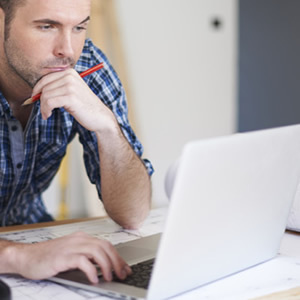 Avoid confusion and provide clear instructions straight from your computer allowing the contractor to manage customer expectations avoiding customer misunderstandings or disputes along the way ensuring smooth job/project transaction from start to finish. 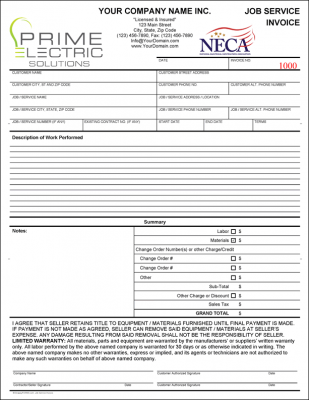 This an easy to read, electrical residential contract, easily customizable with your own information and use as a fillable Word document or PDF form, all text fully editable so you may edit the form fields, and just about everything else the way you want it, for example, the first field reads "Customer Signature" you can change that to read "Client Signature", "Customer Authorized Signature", etc. all form fields are editable. 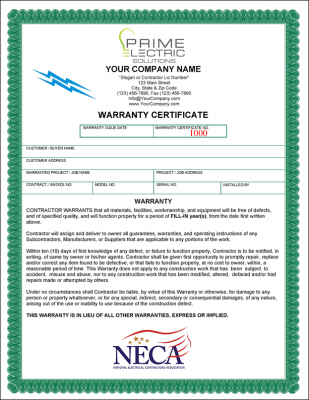 Help boost customer confidence that the work or installation has been done properly by providing your client with an Electrical, industry standard, all purpose, labor workmanship or parts warranty certificate after job completion. This has been proven to help gain traction with customer trust and word of mouth recommendations in the long run. You may also opt to have one or many different types of certificates to comply with particular jobs or projects. It may be a satisfaction guarantee, a warranty certificate on equipment or parts, a workmanship guarantee, an "x-Year(s)" parts warranty or quality pledge, an "x-Year(s) on parts such as a electronic parts or re-wiring or fuse box installation, a lemon guarantee, the possibilities are many —and also makes a good starting point towards selling a maintenance agreement. General purpose, fillable, Electrical Proposal form with specification sheets giving you plenty of room for images, drawings to help outline the work to be performed. Easy to personalize using Microsoft Word or free Adobe Reader to meet your personal business needs. This detailed project or work proposal allows customers to see exactly what a particular Electrical contractor is promising to do (and at what cost). Avoid confusion and provide clear proposals straight from your computer allowing the contractor to manage customer expectations avoiding customer misunderstandings or disputes along the way ensuring smooth job/project transaction from start to finish. This Electrical proposal also provides 5 additional pages which allow you to record all proposal specifications and necessary drawings.